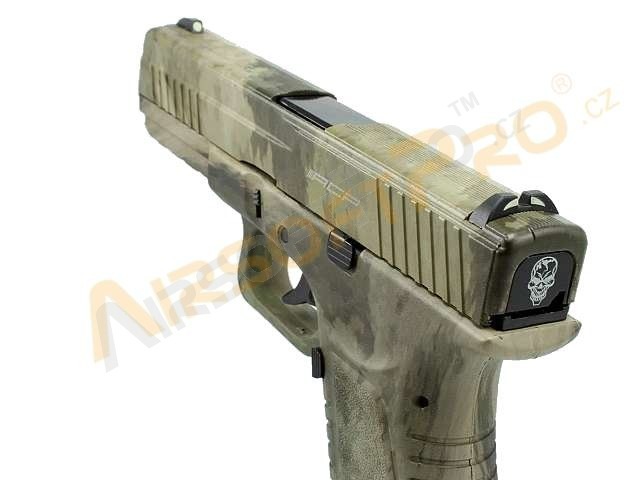 We offer for sale this airsoft weapon, which is NON-FUNCTIONAL (unreliable) - it is suitable as decoration. The weapon has no abrasions - it is brand new. The package contains an original box and magazine. The repair of the weapon is not profitable for us and therefore we sell it in the discount as a nonfunctional without guarantee of the shooting ability. The original design concept has been matured from the RAM Paintball Marker “RAMCOMBAT”. This Co2 powered pistol provides you with a intensely satisfying blow back recoil action when shooting. 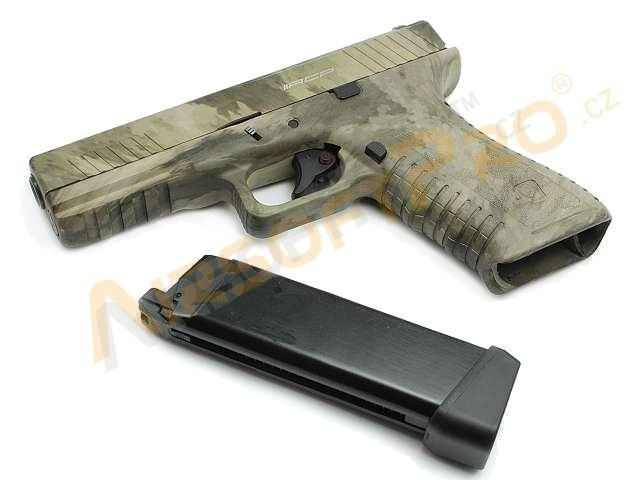 In addition, the Action Combat 601 has many advantages over the competition. 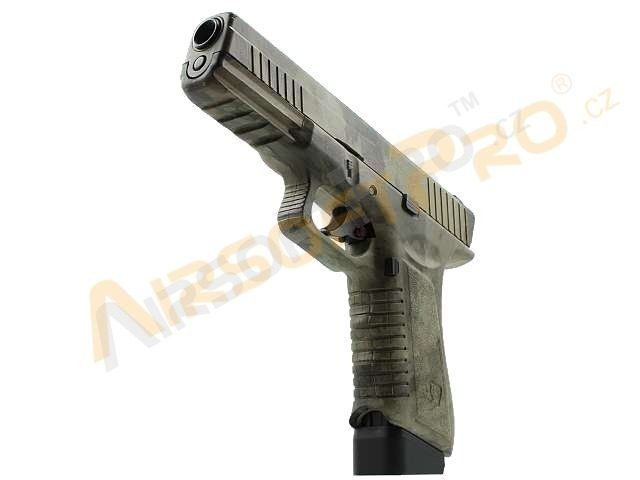 The Action Combat Pistol has a patented designed external appearance. The size and weight are similar to a real firearm pistol and as such, it can be fit into a real firearm hostler. The material that is used in its lower frame has the same material of the real firearm used. The handling and recoil is superb which then provides realism to the user. ACP601 is powered by a .12g Co2 canister which are easy to find and purchase in the stores or supermarkets. Simply inserting one Co2 canister allows you to fire up to 70 rounds. There is no denying that Co2 works better than Top Gas (Green Gas) in cold weather. We charged and operated our ACP601 in 5°C / 41°F and the test results were positive. Our Action Combat 601 works better than any other Top Gas guns in extreme weather. The velocity of the pistol stays in the 340 – 370 FPS range, which is beyond comparison than any other Top Gas Pistol. Basically put. If you want to keep your FPS accurate and consistent then the ACP is the pistol to buy. ACP601 use's common parts which are compatible with the major leading brands in the market. For Instance, our Co2 magazine can be used in TM and WE pistols. Upgrades and modifications are possible. Performance parts can be used and external accessories can be mounted. 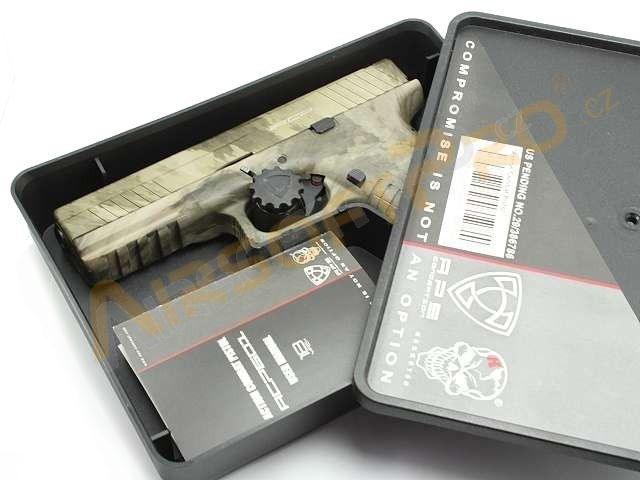 Our ACP601 is designed for Airsoft War Games, or even upgradable to professional IPSC guns, this is totally the users choice. To conclude, a fair quality pistol can be easily found in the market. But a good quality pistol is hard to get. 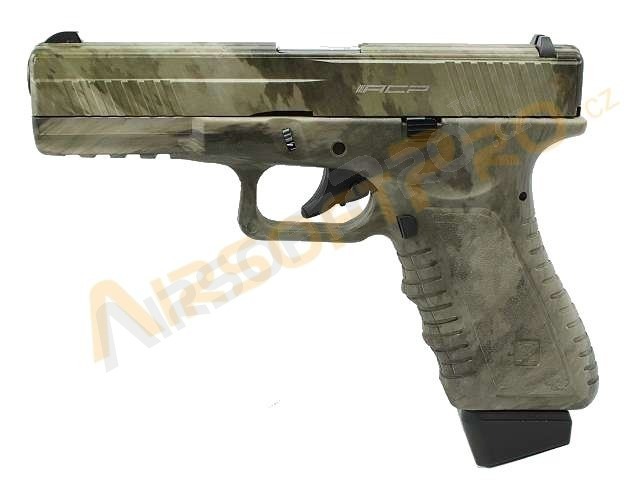 The best quality pistol even never exists until the Action Combat was born. With its patented design and its high compatibility with parts and accessories across the board, we believe Action Combat is the best pistol amongst its competitors.